Estimate the depth of the water. Use cars ahead of you as a guide, or try to gauge how deep it is with landmarks around you. Drive slow and steady. This is not a race. Take your time. Turn your lights on. You may even have to use your brights, but be mindful and considerate of other vehicles around you. Give surrounding vehicles extra space. The more the merrier! Be sure to add at least 1-2 extra seconds of following time in hazardous weather. This allows you and those around you to have more time to react. 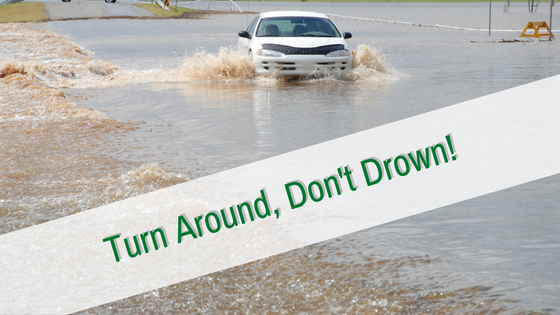 Avoid driving through water around downed power lines. 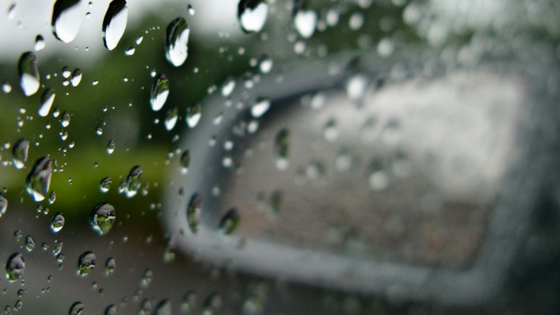 If your brakes seem to be wet and not stopping your vehicle like they should, you can try drying them. Press gently on the brake pedal with your left foot while maintaining speed with your right foot. Do you ever wonder how your car magically turns left or right upon your steering command? Well, there is an entire system in place that enables you to do so. The steering system converts your steering wheel rotation into a movement of your vehicle’s wheels correctly. 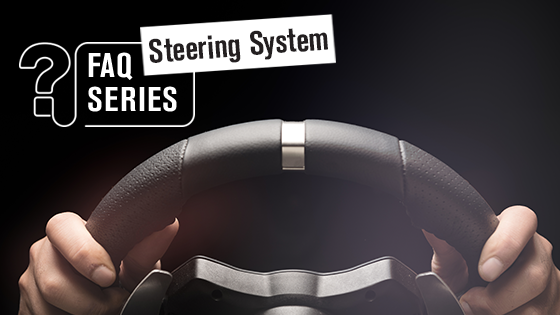 There are three steering systems, but today we are going to focus on the two most common systems. The Rack-and-Pinion System The rack-and-pinion system is compiled of a steering column with a small pinion inside of it. When the pinion is turned it makes the rack move from side to side. The rack is attached to the vehicle’s wheels allowing for precise movement and turning. The rack-and-pinion system is a simple system and has a few parts that become worn and need to be replaced, but it’s an easy fix nonetheless. Power-Assisted Steering System The power-assisted steering system is the most common system nowadays with newer vehicles. In this system, power-assisted steering overcomes heavy gearing. Oil is applied to the rack or the steering box via the vehicle’s engine. There are valves located in the steering rack or box that will open up whenever the steering wheel is turned. Once open, the oil enters into the cylinder and helps to push the steering in the right direction. When the driver stops turning the wheel then the valve shuts. The benefits of power-assisted steering is its ability to alleviate heavy steering. When the power stops working the driver can still steer, but it would just be heavier. The steering system is highly important because if you are unable to control where your vehicle is moving, well things could definitely end up poorly. Sometimes the steering wheel can feel loose or lock up when something in the system is wrong. If you are having one of these issues, please feel free to schedule an appointment at one of McCarthy Auto Group’s service centers today! Driving at night can be intimidating. 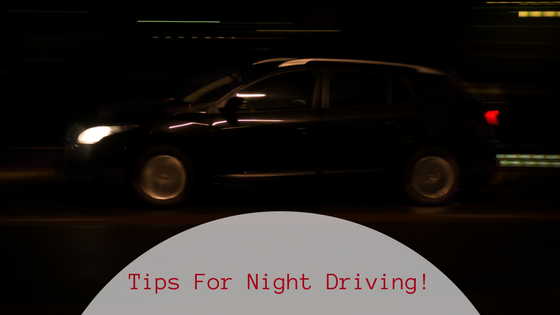 With it being dark outside, you have to be even more cautious and alert while on the road. There are extra dangers to be aware of during the night, such as compromised visibility and impaired drivers. Here are a few tips that will help you to drive as safely as possible during the nighttime: Keep Your Headlights and Windshield Clean Your headlights come in handy during the night time. Dim lightbulbs or cloudy headlight covers can reduce visibility. Keeping them clean and bright will maximize your visibility while driving in the dark. Your windshield is also an important asset when driving. If your windshield is dirty or cracked, you won’t be able to see where you are going. It is already hard enough to navigate through the dark. Therefore, you should make it easier on yourself by keeping your windshield as clean and clear as possible. Pay Attention to Your Surroundings Stay alert at all times. Try to take extra time when waiting at a stop sign and yielding. It is also important to pay attention to road signs. It doesn’t hurt to take the extra time to make sure you are aware of what is going on around you, especially if it is dark. Drive Carefully Try reducing your normal speed while driving at night. This will help you to be able to pay close attention of your surroundings. You should also avoid tailgating at all costs! There’s no need to rush to get to your destination. The best thing to do is get there safely, not in a hurry. Avoid Using Your Phone Though this should be a universal rule at all times, it is imperative that you do NOT use your phone will driving at night! Phones are an easy way to get distracted and end up in a terrible accident. Avoid this problem altogether by simply avoiding using your phone while driving at night. The support system in a vehicle serves many purposes and can be known by a couple different names. 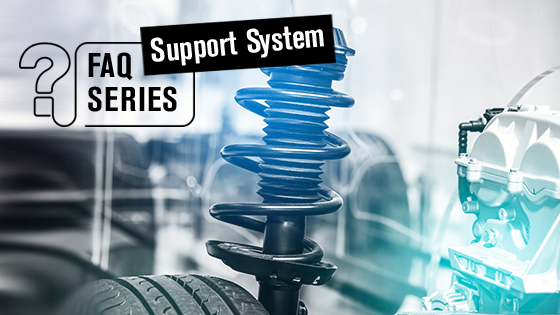 You might be familiar with the “suspension system” in a car, which can be interchangeable for the overarching “support system” terminology. The main functions of this system contribute to the road handling, safety, and comfort of any vehicle. To understand the purpose of these functions, let’s delve into a better understanding of some different parts that make up the suspension system that contribute overall to support your car. The frame. This is the structural, load-carrying component that supports a vehicle’s engine and body which the support (suspension) system then reinforces. Springs. Nowadays, spring systems pretty much have four basic designs that contribute to the car’s balance and passenger comfort. The most common type of springs found in the support system are either coil springs, leaf springs, torsion bars, or air springs. You can find most springs located between the wheels and the frame of a car. Overall, they serve to compress and expand to absorb the motion of the wheels, thus contributing to the road handling and comfort results. Dampers (i.e. shock absorbers). You just learned about springs, which allow the wheels to move up to absorb bumps in the road and improve the handling of the vehicle. Now we’re talking about dampers, which are commonly called shock absorbers and/or “shocks” or “struts”. They go hand-in-hand with springs to prevent your car from bouncing up and down. While the springs are necessary to deflect the bounce, your car would continue to bounce up and down if the reaction from these springs was not dissipated by dampers being in place. The “shock absorber” is a device that helps control this spring motion through an overall process known as “dampening.” Thus the term, dampers. Stabilizers. These are found in most cars, however, not all. You can hear many different terms when it comes to stabilizers, such as anti-sway bars, sway bars, stabilizer bars, and anti-roll bars. These are all essentially the same thing. Stabilizers serve as a bar between the front wheels and rear wheels that provide another dampening function and overall structural car support. Stabilizers serve to prevent leaning/swaying of your vehicle during turns and resist the swaying movement to keep your car’s wheels at the same height. Depending on the make and model of your car, these bars will vary from a thick/stiff bar to less rigid bars (which are better for off-roading). Tires and wheels. These obviously are an essential component that support your car. They help provide the traction, grip and friction that make movement of your vehicle possible. Just like a human, a car is made up of different systems that coordinate to keep the car functioning. 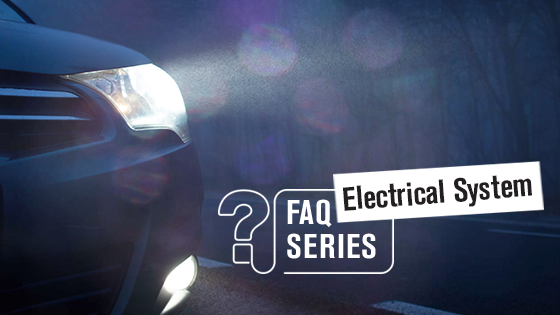 The electrical system is an important part of any vehicle. It consists of the battery, starter, and alternator. If any one of these parts stops working your car won’t start or run properly. The battery is responsible for providing the electricity needed to power all of the electrical components of your car. This small part converts chemical energy into electrical energy— think of it as the heart of a vehicle. When the battery isn’t pumping electricity out, then the car will not start. The electric power from the battery is transported to the starter which is what really gets the engine up and running. The starter rotates the flywheel to get the engine’s pistons moving. Think of the starter as an artery transporting blood to an important part in your body. Without the heart (battery) pumping blood to the artery (starter) the important body part (engine) cannot run. An alternator keeps the battery charged while your car is running, and supplies additional electric power throughout the electrical system. Think of an alternator as the blood that is flowing through the artery (starter) and heart (battery) to keep it going and able to perform its duties. Now you have it! The electrical system is essentially what powers the vehicle. It’s important to make sure these parts are always checked. 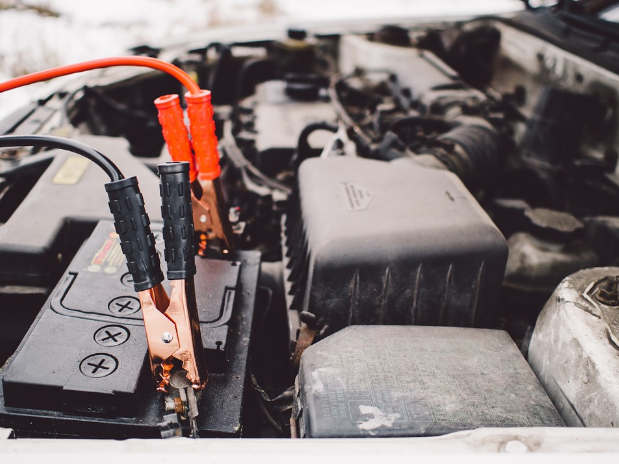 When they begin to wear out, your car battery will weaken and/or die, causing problems to other electrical system parts. Some signs that indicate attention needed to your battery include the check engine light, a slow engine crank, and low battery fluid level. If you are experiencing any of these issues, schedule your next service appointment now! Properly adjusting your rearview and sideview mirrors can be one of those things that is easily missed. It can be confusing and frustrating trying to get the mirrors as precise as possible in order to get the best view. It is important to know how to fix the mirrors accordingly so that you are fully aware of what is behind and on the side of you while driving. Here is what you need to do to properly adjust your mirrors: Adjust the Driver’s Sideview Mirror To adjust the driver’s sideview mirror you’ll need to be sitting in the driver’s seat. While seated, place your head against the window and set the mirror to where you can barely see your car in the right side of the mirror. Adjust the Passenger’s Sideview Mirror While seated in the passenger seat you’ll need to lean your head against the window. Begin adjusting the passenger mirror until you can just barely see your car in the left side of the mirror. Adjust the Rearview Mirror To adjust the rearview mirror make sure you are seated in the driver’s seat while doing so. Move the mirror around until you are able to see the entire rear window from where you are sitting. Now you’re good to go! Follow these easy steps to make sure your mirrors are adjusted properly for your surroundings. It seems like cars are always super easy to clutter. Perhaps it’s the fact that once you’re on the go, it’s easy to accumulate and misplace things over time when you’re not paying attention. Being that I am venturing down the straight and narrow path of cleanliness, I found some cool and easy ways to keep your car organized and clutter free! Here’s what I found: – Organizing Your Glove Compartment If you are like me, you find it easy to just shove important documents, receipts, and/or miscellaneous papers in your glove compartment. An easy way to organize this area is to get an expandable tabbed folder, label each tab, and place the appropriate document in the right tab. Not only will this give you a lot of space in your glove compartment, it will also help you maintain and access important documents when needed. – Keeping Kleenex at Bay I hate driving and not knowing where to quickly and safely find a tissue. Fortunately, there are handy devices that help you keep the tissue box in one place. Using a visor tissue holder not only allows you to easily access your Kleenex, it also eliminates clutter throughout your car. – Eliminate Trash Place a mini trash can, box, or cereal container for trash in the backseat of your car for you and your passengers to dispose items in. You’ll see how quickly your car becomes less cluttered once you put a trash can in your car. – Make Extra Storage Space Shoe organizers are perfect for extra storage space. By placing one of them on the back of the passenger seat you can access it easily while driving and keep things such as snacks inside of the pockets. 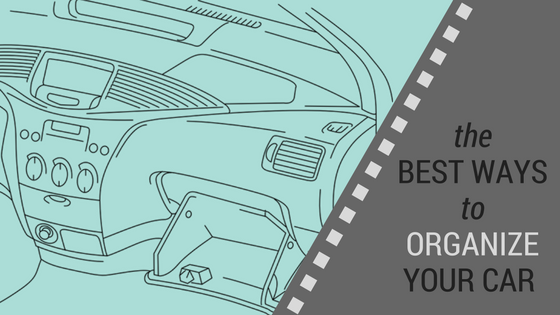 These are just a few ways I found to be helpful in organizing my car. Do you have any car organizing ideas? Let me know what you do to keep your car clutter free! There’s no doubt that car accidents are terrifying for everyone and something we all strive to avoid, but as the saying goes: accidents happen. 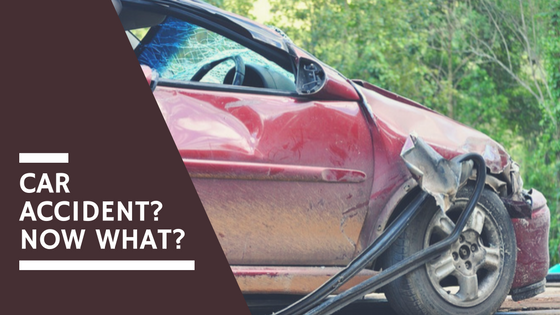 Although it’s hard to think straight after you’ve been involved in a car accident, there are necessary steps to take afterwards. If your car is at all drive-able after an accident, pull over to a safe area to avoid holding up traffic or causing another accident. Check to See if Everyone is Okay Check to see if you and/or your passengers have any major or minor injuries, then check to see if those in the other vehicle are okay as well. Call the PoliceReport the accident to the police and let them know where you are located. It is important to call the police even if the other person involved in the accident doesn’t want you to. Most states require you to call the police and they are there to help protect you from fraud and establish a liability. Collect Information from Other PersonMake sure to exchange your names and addresses, insurance information, vehicle information, and licenses plate numbers. Collect as much information as you can to help protect yourself as much as possible during this accident. Also, take pictures of the accident. Get photos of both your car and the other vehicle(s) involved. File a ClaimContact your insurance company as soon as possible to file a claim! As soon as you have all of the information from the other person involved, call your insurance company to make sure you will be covered. First and foremost it is super important that you double check the weather reports before you venture out. Listen to warnings from your local TV and radio stations and use your best judgement. I’m sure you’ve heard the rule-of-thumb that you should keep at least 3 seconds distance between you and the car in front of you. When driving in snow and heavy rain, it is important to keep at least 9 seconds of distance between you and the driver ahead of you. You never know if you or the car in front of you will hit black ice and begin spinning out of control. 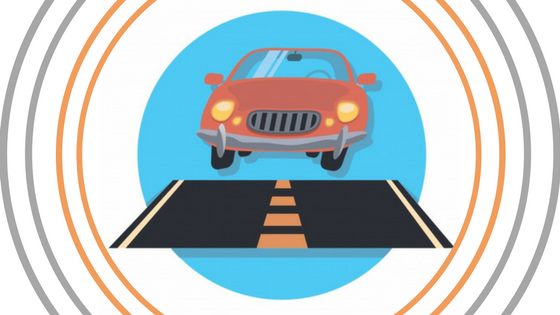 Keeping a safe amount of distance will lessen your chance of getting into an accident. When driving in inclement weather there’s a huge possibility that you will run into black ice. Take precaution especially when driving on bridges and overpasses because ice and black ice form faster there. Drive extra slow, brake lightly, and hold onto your steering wheel tight while paying attention to your surroundings at all times. If the conditions get too bad and you know you wouldn’t be able to drive through them, make the wise decision to pull over until the roads are clear again. It is better to sit and wait out a storm than end up in serious danger by trying to drive through it. Keep your trunk full of things in case of an emergency situation such as this. That way, should you be stuck on the side of the road, you’ll have everything you need. Not sure what emergency equipment you need? Check out a list of essential items here. This is one of the most important tips on this list. With each season comes different responsibilities with your car. 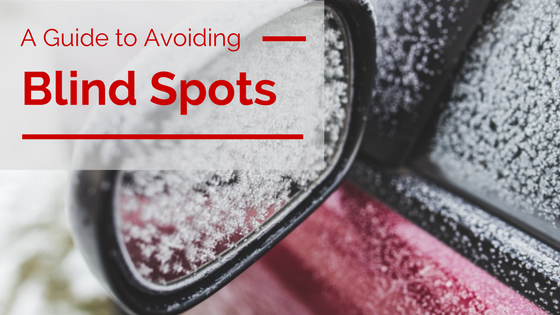 During the winter time your car needs extra care and attention to ensure your safety while on the road. If you take care of your car, your car will take care of you. You can find out how to best prepare your car for winter here! It’s easy to get caught up in the hustle and bustle of life in your car that takes you everywhere… but stay observant of how many miles you’re driving and keep a schedule of your car’s maintenance to ensure peak performance for your vehicle! Just like you buy certain gifts for certain anniversaries, you should get maintenance done for certain mile counts. Use this checklist as a guide to help remind you when to take care of your car! This checklist stands as a good measure for how often you should generally perform certain maintenance for your car, but stick to your manufacturer’s maintenance schedule and use your best judgement. If you can’t remember the last time you had something checked, then it’s probably time to schedule a check for it. Follow this checklist to help you stay on top of your car’s maintenance, check your tire inflation monthly, and make repairs (as needed) promptly!